Spend your time learning exactly what YOU want to learn in hypnosis. What if you could have a hypnosis course specially designed just for you? Jason Linett will work with you one-on-one in a custom-designed program to address your goals. Whether you are a working hypnotist, a hobby hypnotist, or a brand-new beginner, you will benefit from Jason’s experience in a private learning experience. Custom-design the learning experience you desire. Receive private training with Jason for three consecutive days in his Alexandria, Virginia hypnosis and training center. After class is over, you receive three private monthly 60 minute consulting calls with Jason. These three days of private intensive training and three follow-up consulting calls are available to you for an investment of $2995.00. This service may be arranged at your location, though travel expenses and a daily stipend will apply. Call Jason today at (703) 341-6655 to complete your no-obligation interview and to schedule your mentorship. Do you want to benefit from private consulting with a recognized expert in the hypnotism profession? Address your goals, improve your skills, and grow your business with this consulting program which may be done by phone or video chat. Your first call is 2.5 hours long, and you will receive customized training, coaching, and attention. Together, we set a plan for your success. This initial call is available to you for $450. 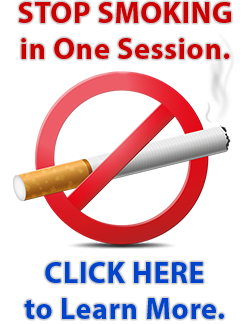 Additional coaching sessions are available to you at the rate of $200/hour. Discounts may apply for long-term coaching programs. Call Jason today at (703) 341-6655 to complete your no-obligation interview and to discuss your goals in private consulting. We guarantee that if, by the luncheon break of the first day or the first call, you are not satisfied for any reason, return any materials and receive a full refund. Other courses may leave you asking “What now?” With our program, you will be ready to jump right in! Learn how to instantly hypnotize your clients with a snap of a finger, the shake of a hand, and more! These techniques are a powerful model for change, and they’re practical and safe for your professional use. Clients who achieve deeper levels of hypnosis are often more likely to release subconscious resistance and achieve their goals. Jason will share with you a unique approach to hypnotic testing that convinces both you and the client how deep they were in hypnosis. Do you want your clients acheiving their goals or saying “I felt relaxed, but I don’t know if I was hypnotized?” Learn with confidence how to produce hypnotic phenomena. Jason Linett has become internationally-known for his skills in building a profitable hypnosis center. He is the founder of the Hypnosis Business Boot Camp, a course designed to build the profession with effective and ethical strategies. Your new skills as a Certified Hypnotist are only valuable if people can find you! Jason is dedicated to building the profession, so look forward to him “opening up the doors” of his practice to get you started! The “Pre-Talk” is the patter a hypnotist delivers to the client which releases common fears and misconceptions the client may have about the process … but did you know that most hypnotists may be causing more harm than good by delivering their pre-talk incorrectly? Jason Linett has developed a powerful, brief Pre-Talk that gets the job done, but also excites the client to experience hypnosis. Most hypnosis courses don’t include this advanced strategy for change. Jason Linett has been trained by some of the top hypnotists in the world in this technique, has personally used this technique with more than a thousand clients, and you will learn a safe, effective system for finding and releasing the cause of a client’s problem. Some hypnotists will try and tell you that “Direct Suggestion” hypnosis cannot produce permanent change. While you will learn an appreciation of advanced techniques, with the proper approach and the right situation, “Direct Suggestion” hypnosis can be equally strong. Imagine your success with clients when you know how to make your words reinforce themselves! Virginia Hypnosis is the only hypnosis training center in the area that also offers NLP certification. As the founders of NLP were modeling the world of renowned-hypnotist Milton Erickson, it is essential your course introduce the themes of NLP. Master rapport with your clients, produce deeper change, and expand your toolbelt of techniques. Most people who read about or study self-hypnosis will respond to you, “I don’t know if I’m doing this right?” In this course, you will learn self-hypnosis techniques which lead to conviction and positive change within your new clients. As a BONUS, you will learn how to use this process for your own improvement. Tired of dealing with analytical resisters? You will learn some powerful techniques to bypass your client’s conscious mind and communicate directly with the subconscious. Children and teenagers respond very well to hypnosis when the right approach is used. Learn ways to work interactively with kids and experience Jason’s unique approach to invite the curiousity of even the most cynical teenagers. These skills can immediately help you build a successful, rewarding practice. Jason Linett has led several workshops on his unique approach to change with metaphors. 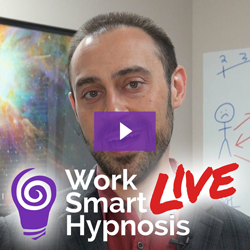 Learn how to do Ericksonian hypnosis on-the-fly and how to utilize the experiences of your client for their own changes. While the focus of this course is on hypnosis for personal change, Jason brings to the class the experience of having hypnotized more than 15,000 people in stage and group hypnosis environments. You will learn a Sample Stage Hypnosis Show that you can present to friends or offer as a professional service. Search any hypnosis online community and you’ll find hundreds of people asking “Do you have a script for this?” Jason’s training is unique as the hypnotherapy content begins with universal techniques, a bank of powerful techniques that allow you to work in a contextual basis with nearly any issue your client could bring into your office. Rather than a cookie-cutter approach to hypnosis, you will learn the art of “client-centered hypnosis,” fitting the process to the client rather than the client to the process … and in case you still want a “script,” you’ll receive a bonus resource disc packed with thousands of documents! Jason Linett recently became the ONLY Washington DC Metro area hypnotist to be featured on NGH Connect, the National Guild of Hypnotists’ online directory of preferred hypnosis practitioners! Written several articles for the meetings, counseling, and stage hypnosis industries. …has hypnotized over 15,000 people, and has never once made anyone bark like a dog or cluck like a chicken! This special event is hosted by Jason Linett, Board Certified Hypnotist and Certified Instructor of Hypnosis. Jason is the owner of Virginia Hypnosis, and this event will be hosted at his Alexandria, Virginia hypnosis center. The location is convenient to all parts of the DC Metro Area, including Virginia, Maryland, and Washington DC. Conveniently located at the hub of I-95, I-495, and I-395, the location is conveniently accessible from Reagan National, Dulles, and Baltimore Washington airports. Several hotels are available within a short distance for reasonable rates, ranging in quality from a Motel 6 to a Courtyard Marriott. Click here for nearby hotels.